Bhandarkar: I will release the film all over India. 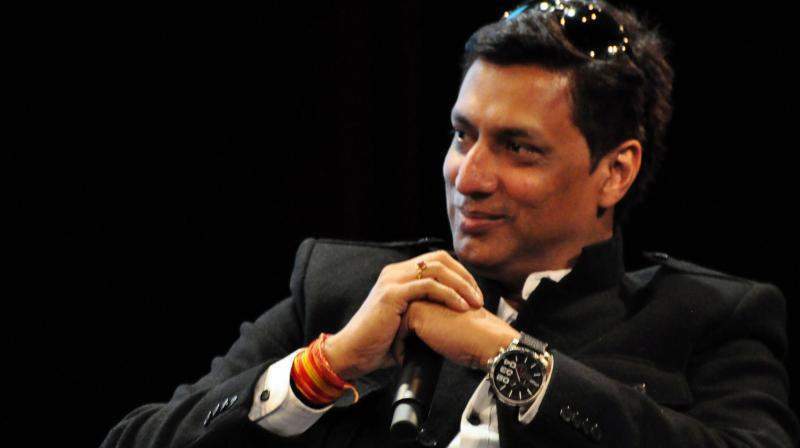 aaaPUNE: National Award-winning filmmaker Madhur Bhandarkar had to cancel the promotional activity of his forthcoming film "Indu Sarkar" here on Saturday after receiving threats from local Congress party workers. "We are like hostage in the hotel room. We had to cancel the event. The hotel management asked us not to step out as the cadre is here since 1 p.m.…Since the last three hours, we have been locked in one room. My whole team is in the room," Bhandarkar told IANS over phone. Bhandarkar even tweeted a few images of some of the Congress party members. He captioned them: "Congress workers have barged in the hotel lobby and created ruckus, me and the team are stranded like hostages in hotel room. Pune activity cancelled." The film's team had planned to visit Suryadatta Institute of Management & Mass Communication on Saturday for the promotional event. The film's spokesperson said: "We received a call from Sanjay Chordiya from Surya who had arranged the whole press conference. He urged us to cancel it as they received a threat from local Congress party workers. As soon as we got to know, we cancelled the event." Asked if Bhandarkar will release the film in Pune, he said: "I will release the film all over India and I think people who talk about freedom of expression should stand for this now… This is the time." The film, set against the backdrop of the 1975-77 Emergency, has characters inspired by the late Prime Minister Indira Gandhi and her son Sanjay Gandhi. Earlier also, Mumbai Congress President Sanjay Nirupam had penned a letter to Central Board of Film Certification (CBFC) chief Pahlaj Nihalani, asking for the movie to be screened for them before it is censored. CBFC later suggested 12 cuts and two disclaimers in the film. Bhandarkar had been asked to remove words like RSS and Akali from "Indu Sarkar". Featuring Neil Nitin Mukesh, Kirti and Kulhari Tota Roy Chaudhary, it is scheduled to release on July 28.